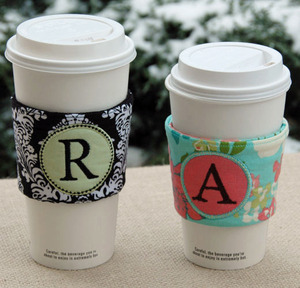 Protect your hands & keep your coffee warm in style with a cute Monogram Coffee Sleeve. Our coffee sleeves fit 12, 16 & 20 oz cups. They secure around cups with an elastic loop & button.